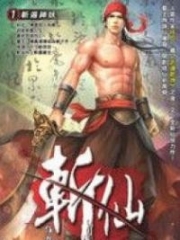 You’re reading novel Trial Marriage Husband: Need to Work Hard Chapter 41 online at LightNovelFree.com. Please use the follow button to get notification about the latest chapter next time when you visit LightNovelFree.com. Use F11 button to read novel in full-screen(PC only). Drop by anytime you want to read free – fast – latest novel. It’s great if you could leave a comment, share your opinion about the new chapters, new novel with others on the internet. We’ll do our best to bring you the finest, latest novel everyday. Enjoy! Lin Wei sincerely believed, even if Tangning didn't have her as a manager and didn't have an a.s.sistant, she could still get far on her own. On that note, which artist had the capability to lead their manager instead? However, even though she knew this, Lin Wei was still not willing to leave Tangning. By following Tangning, there was so much for her to learn. All along, in Tangning's heart, she had been hoping for a chance to challenge Mo Yurou in a fair fight. Since she had previously been a subst.i.tute for Mo Yurou, she needed to use this opportunity to prove to the public, by subst.i.tuting Mo Yurou, it didn't mean she wasn't capable. For her, winning against Mo Yurou was like playing a simple game. Ultimately, now that the two parties had come to an agreement, Tianyi could no longer casually plan out Tangning's jobs. From now on, Tangning's jobs would have to pa.s.s through a vote by the company's higher-ups. With their supervision, Han Yufan would no longer be able to hide the truth from the ma.s.ses. From now on, the jobs that Tangning was to propose would have the potential to make so much money...there was no way they would reject them. "Ahhh...." Long Jie shouted in satisfaction, "Today was so refres.h.i.+ng, haha. Tonight I must drink some champagne to celebrate. Just the thought of Han Ruoxue's screwed up face makes me want to take a photo of it and show it to her so she can see how ugly she is." Lin Wei turned around to look at Tangning from the front pa.s.senger seat. There were things she wanted to know, "It was all part of your plan to make them allow you to voice your opinion right?" "If I didn't do this, up until Mo Yurou gets pulled down from her perch, they will continue to use me to boost themselves. So, I had to get the right to voice my opinion." Tangning looked down at the supplementary contract written by Han Yufan and carefully a.n.a.lyzed if there were any flaws. She realized she didn't understand a lot of the legal terms; Mo Ting would need to handle this. "Dear G.o.d, we still have to eat a whole week of steak, chips and hamburgers..."
You're reading novel Trial Marriage Husband: Need to Work Hard Chapter 41 online at LightNovelFree.com. You can use the follow function to bookmark your favorite novel ( Only for registered users ). If you find any errors ( broken links, can't load photos, etc.. ), Please let us know so we can fix it as soon as possible. And when you start a conversation or debate about a certain topic with other people, please do not offend them just because you don't like their opinions. You're reading Trial Marriage Husband: Need to Work Hard Chapter 41. This novel has been translated by Updating. 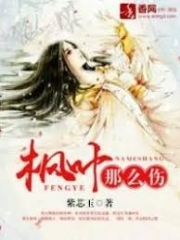 Author: Passion Honey, 百香蜜 already has 7174 views. Current Time is Apr-24-2019 00:02:11 AM.